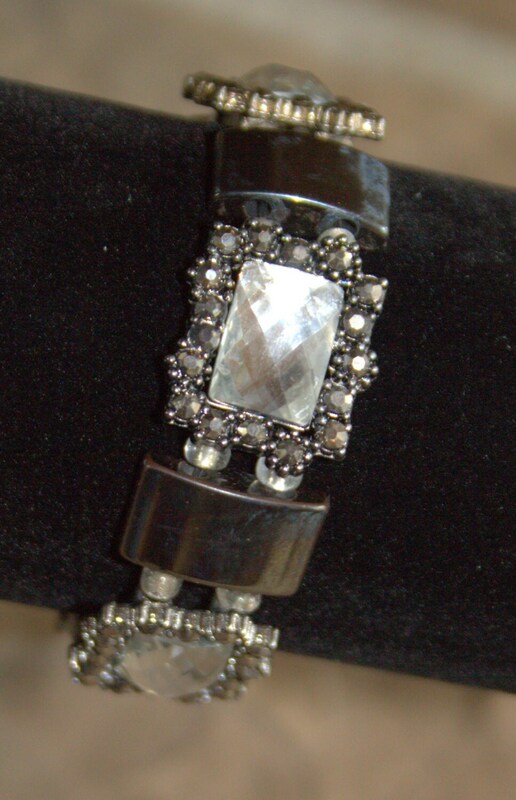 This bracelet has Victorian charm and modern bling. The crystal pieces are strung between hematite beads on a durable stretch cord that fits most average sized wrists. The large crystal sections are bordered with dark gray crystals. 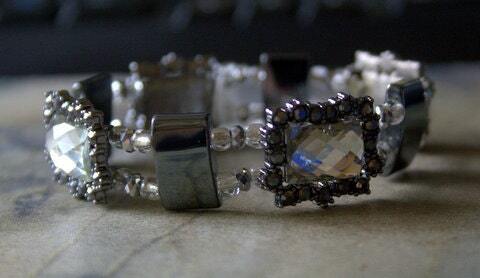 The middle sections are natural hematite, double drilled beads that match the dark gray crystals. This bracelet looks very sharp with western wear or a sophisticated suit.